Donate a smartphone. Change the life of someone who's blind. Phone it Forward is a CNIB program that gives smartphones to people with sight loss who need them. At two years old, an E.coli infection almost took Travis's life and stole his sight. Phone It Forward gives Canadians a unique opportunity to donate their old smartphones, receive a tax receipt, and empower people who are blind in the process. Smartphones make a tremendous impact on the lives of people who are blind. Accessible smartphone apps make it possible to do all kinds of things that may have seemed challenging before. CNIB's National SCORE program is a summer experience that combines the joys of camp with excursions and activities geared to helping youth (ages 16-21) learn and develop skills to pursue post-secondary education. Put down the textbooks and join CNIB for an all-expenses-paid opportunity! Discover and explore your potential through educational and empowering activities while connecting with like-minded peers. 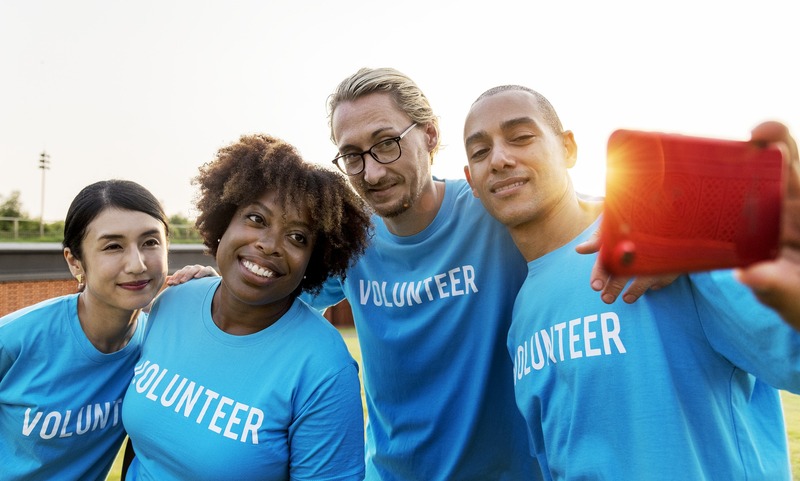 Find the perfect volunteer opportunity for you! Change what it means to be blind by helping children with sight loss meet new friends and gain self-confidence while enjoying interactive social and recreational activities. Provide community-based support: help to plan, implement and supervise the children’s day program. Make a difference for people who are blind or partially sighted by facilitating peer group meetings in your community.